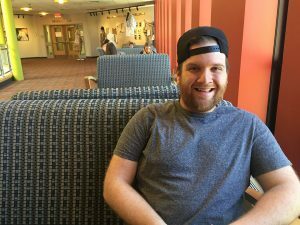 Chris Diehl is an English and theology major from Dedham, Massachusetts, who also carries a minor in Faith-Justice studies. Committed to serving others, Chris will join ACE SJU upon graduation. He will pursue a Master’s in secondary education while teaching English and religion at Ss. John Neumann and Maria Goretti High School in Philadelphia.